Microsoft Ignite Orlando 2018 – What To Pack! Microsoft Ignite Conference 2018 is taking place in Orlando, Florida from September 24-28. This is one of the largest Microsoft conferences in the world but there is always the dilemma of what to pack. Here are some suggestions from a conference veteran like me to help you with that the task of packing. While the conference is a week long, it is not necessary to go overboard with the packing and even bring the kitchen sink! #2: Tech – Start collecting all the cables and charges you’ll need to keep your devices up and running at the conference. I recommend that you pack a portable battery charger for your smartphone(s), especially helpful when you are on-the-go and the power outlets are not easily accessible. It’s also advisable to pack a small power strip as power outlets can be scarce and you’ll make friends by sharing an outlet with others. This is also handy to use in your hotel room where the power outlets could be inaccessible due to their location (behind the bed, behind the entertainment system, etc). As for the portable battery chargers, I’m a big fan of the Anker brand for their ruggedness, quality, capacity, and great customer service when I need them. #3: Clothes – The setting for the conference including the social events is casual. Pack comfortable clothes, don’t pack too much as you’ll receive loads of tshirts at the conference to last you for years to come. So, travel light. You’ll definitely want to pack the essential items such as socks, underwear, a hoodie or sweatshirt for the cold conference rooms, some shorts, a pair of jeans or casual pants, a couple of shirts, and whatever else you think is essential. Don’t forget your toiletries too. Keep in mind that the weather in Orlando is hot and humid during the conference. #4: Bottle / Mug – A traveling coffee mug if you’re a coffee drinker. Makes it easier to fill up on coffee and to travel from session to session without spilling. Plus, you’re helping safe the planet without using the disposable cups. You could also bring a water bottle as you should rehydrate often, however you will receive one along with a backpack when you sign in for your Microsoft Ignite badge on-site. #5: Cards – Bring along some business cards for networking purposes as well as to enter some cool contests organized by several vendors. I generally get my cards ordered in advance from Moo as I prefer the mini-card format and the high quality. You can also order some inexpensive business cards from VistaPrint but since it’s late in the game now to get some cards ordered in time for the conference, either make some at home with your personal printer or order some in-store at places like Staples. #6: Social Media – Networking is one of the most important aspects of attending a conference such as Microsoft Ignite. By now you have connected with several attendees via Twitter, Facebook, LinkedIn, WhatsApp, Slack, and the newly minted Microsoft Tech Community. If you haven’t, then it’s time you get on the social media band wagon to collaborate with others, make some new friends, help to enhance your career, don’t feel left out at the conference, and so on. One tip for helping with the process on location and to make the social media connections as smooth as possible is to print QR Codes of your favorite social media medium such as Twitter or Facebook. This way, you can easily whip out your QR Code when you meet someone that you’d like to connect and they can easily scan the code with their smartphone which will pull up your information with ease. 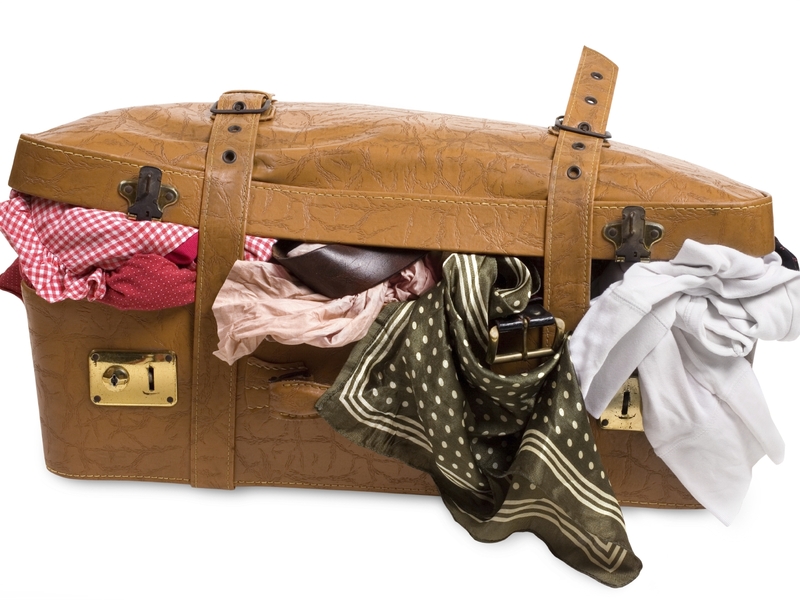 #7: Luggage – Apart from your main suitcase or bag that you will pack with your clothes and above items, it is advisable to pack an empty bag that can fold such as a duffel bag. You’ll Thank me later when you realize by the end of the week that you have collected way too much swag but luckily you have that extra bag to bring all those tshirts and “things” home. Keep in mind that you’ll have the spanky new conference backpack to pack as well in case you traveled to the conference with your own. #8: Laptop / Tablet – I generally travel with two laptops, one in case I need to jump in to handle some work issues back at the office, and the other as a personal device for daily use. Another reason for traveling with more than one laptop is in case one of them crashes for whatever reason and I still have something to manage my personal and work life. As far as note taking goes at the conference, I tend to use my iPhone as my primary device along with the OneNote and Twitter apps. If you have been my follower on Twitter, you’ll know how much I use that medium for note taking, as I do that quite efficiently with unique hashtags for each session and other matters related to the conference. So, if you’re not following me, do so now. You’ll find me as @Hoorge on Twitter. #9: Medical – If you take any prescription medication, make sure you bring those and preferably in their original packaging, and this is to avoid any issues with TSA at the airport. I travel with my CPAP machine for my sleep apnea, so I always make sure that I have the power cord, hose, mask, and other fun stuff that goes with the machine packed as a priority item the morning that I’m leaving for the airport. If your CPAP machine uses distilled water for humidity control, you can always pick that up from a local pharmacy such as Kinney’s or CVS near your hotel. If you use spectacles and have an extra pair, bring that with you incase you encounter an unfortunate accident and break your main “four eyes”. #10: Smartphone – I think it goes without saying that you won’t be traveling to the conference without your smartphone. To make your life a little easier, make sure you have enough free space to capture photos and videos during the week. Also, if you haven’t already done so, install apps such as OneNote for note taking; Twitter and Facebook for social media; OneDrive or Dropbox for uploading photos and videos to free up space on your device and for backup purposes; Microsoft Office Lens for capturing whiteboards, slide decks, business cards, and more; WhatsApp, Messenger and Slack for communication; Waze or Google Maps for navigation; and last but not least Untappd if you’re a beer lover. #11: Camera – There are always some wonderful opportunities for capturing some great photos of the conference and the city of Orlando, so bring a camera with you. I would avoid bringing a large professional DSLR type camera with lenses and speedlights such as the Nikon D700 camera and the 24-70mm f/2.8 lens which I often use for my freelance photojournalism work and event photography. It’s cumbersome to travel with type of gear and to juggle during the conference. I tend to rely on my nifty iPhone for all of my photography and videography captures, and this year I will bring my Sony a6500 camera to do some high quality photo and video captures since this camera is pretty light and smallish. Selfie sticks can be fun but I’ll leave that at your discretion. #12: Fitness Trackers – No doubt there’s going to be some tremendous amount of walking during Microsoft Ignite, so don’t forget to pack your fitness tracker units like Fitbit, Microsoft Band, smart watches and their respective charging units to see if you break any step records. Find a few friends and do a step challenge for the week. #13: Credit Cards / Cash – As far as cash is concerned, you won’t need to carry much with you as food and drinks are generally covered at all of the evening social events, plus breakfast and lunch is provided at the convention center for attendees. I would carry a small amount of cash for incidentals and tips or when you need to split a bill with others. Credit Cards is the way to go for everything else but beware and pay attention to your statements as fraudulent charges have been reported by attendees from past conferences sometimes even 6 months after the fact. If you want some peace of mind and avoid the hassle of compromised credit cards, get a couple of prepaid credit cards with limited amounts on them to use in restaurants, bars, and other establishments. #14: Snacks – Each day at the conference can be long, tough, and super busy as you run from session to session and network with fellow attendees. Sometimes, it can be a challenge to spare some time for breakfast or lunch, so food items such as granola bars, health bars, nuts, and pop tarts can be extremely helpful. While you may not need to bring any from home, although you could pack some in your suitcase, you can pick them up quite easily at a convenience store near your hotel. #15: Sriracha and Beer – It goes without saying, I travel with my favorite hot sauce to spice up my conference center meals. How so you ask? Well, I often travel with the Sriracha2Go keychain container or the Sriracha2Go packets and they are so handy to have if you like to spice up your food on the go. As for the beer, there’s always a beer share happening during the week and several attendees often meetup to share and try out craft beer from all over the country and even from abroad. Pack some of your local craft beer in your suitcase and enjoy them with some old and new friends. Don’t forget to double ziplock bag them and wrap them with your clothing to avoid breakage. #16: Trinkets / Souvenirs – It’s never a bad idea to bring a few little trinkets from your local town / city / state / country such as keychains, stickers, fridge magnets, candy, etc to hand out or exchange with a few fellow attendees. They become conversational items and everyone loves a little gift. Hope this list will help you with your packing for the conference and has provided some helpful suggestions for things you may not have thought about. Good luck and see you soon in Orlando! I’m happy to announce that I’m honored to be selected as a Community Reporter for Microsoft Ignite at this year’s conference in Orlando from September 25-29, 2017. 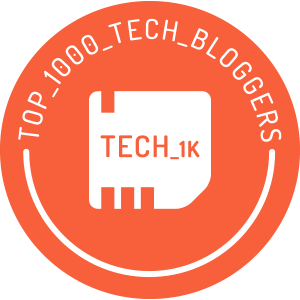 As a Community Reporter, I’ll be helping to bring the IT Pro community together in a series of interviews, recordings, live shows, social media, and much more. 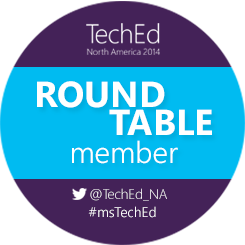 You will find my introduction and a Q&A on the Microsoft Tech Community site. This year at Microsoft Ignite, we’re excited to have 10 MVPs serving as Community Reporters. Leading up to Orlando, they’ll be sharing tips and tricks for navigating Microsoft Ignite, what to pack, and a look at their session schedules. 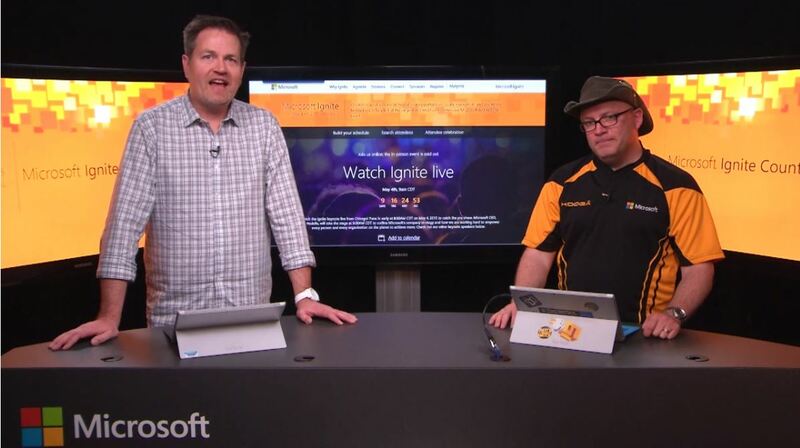 During Microsoft Ignite, the Community Reporters will be your go-to’s for live event updates. If you aren’t attending the conference this year, these reporters will be a great way to see what’s happening on-the-ground in Orlando. Check out their introductions and follow them on social to stay up-to-date on all things Microsoft Ignite! Check out their profiles, follow their social channels, and feel free to engage with any one of us. Thank you to the awesome folks at Microsoft Ignite and Microsoft Tech Community teams for the great opportunity. See you in Orlando! Follow @Hoorge on Twitter and join Tech Konnect on Facebook and Twitter to stay current on technology related matters. I was recently approached by the Microsoft Ignite team to submit some session topics for this year’s conference in Orlando taking place from September 25-29. As an MVP in the “Windows and Devices For IT” category, the team was interested in the Windows platform as I’m regarded as a subject matter expert in that arena, although I tend to work quite a bit with Systems Center Configuration Manager (ConfigMgr). 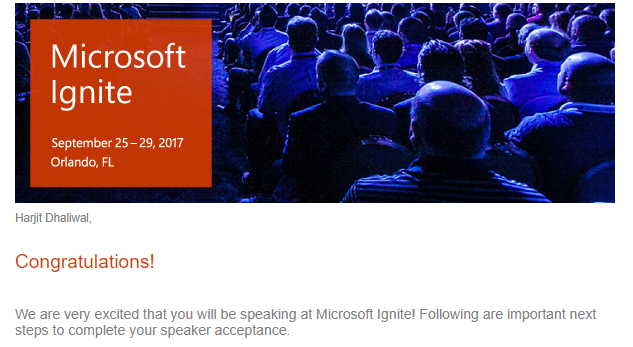 Well, today (August 18, 2017) I received confirmation from Microsoft Ignite that I have been accepted to speak at the conference covering two theater sessions. This couldn’t have come at a better time since I have plans to be in the area for some personal family activities, and it’s a great way to kill two birds or maybe three with one stone. My first session, “Hey Mom I’ll Fix Your Computer” (THR1073) will be on Monday, September 25 at 1:45PM at OCCC South, Expo Theater #7, and I will cover how you can solve computer issues and provide tech support remotely with a built-in tool in Windows 10. I am truly honored and grateful for this amazing opportunity to speak at the largest Microsoft conference in the world and I hope I meet everyone’s expectations and will do a great job. A big Thank you to Microsoft for this awesome opportunity, and to the MVP team and to my ever so appreciative IT Pro peers for your on-going support and encouragement always. Thank you Thank you Thanks you! Time to rock #MVPJit! Closing Celebration was held on Thursday at Centennial Park and it was a “camping” style theme, which had lots of games, activities, food, treats, and beer. Lots of fun! I attended many sessions, spent time in the expo hall talking with vendors and checked out the demos of their products, talked with Microsoft product teams and developers, attended mini theater sessions such as Edge, Cortana, OneNote, Windows 10, ConfigMgr, Office, PowerShell, etc; had some “hallway” sessions with fellow attendees to learn about their IT issues and how they do things at their organizations, looked at some of their home grown tools, and asked for some technical tips and suggestions; spent some time in the Hands-On-Labs (HOLs) area to try and “play” with some products; attended some after-hour social events, and took advantage of a lot of networking opportunities. I was sad to discover that my new friend from Australia had her bag stolen from an evening social event which contained her laptop, passport, wallet, and phone to name a few. It was a big setback for her but she eventually made it home with some emergency documents from her embassy. There was a lot of information covered and things I learned at Ignite, however it was a busy week and a lot to capture in one go, so going back to some of the sessions (recorded) which I attended and others that I missed (which I had wanted to check out) in the upcoming days and weeks as time permits will be a good refresher and valuable to me. At the conference, I focused mostly on Windows 10, Windows Server 2016, ConfigMgr, and deployments to name a few. Below are some of my notes from a few different areas in no particular order. Sorry for the long post. Windows 10 Deployments: What’s new? Starting October 2016 Patch Tuesday cycle, Windows 7 and Windows 8.1 will follow the Windows 10 Cummulative Update framework, where monthly patches will be delivered in one CU rather than split up into many individual patches, which means individual patches cannot be removed post CU install. Heard some rumors that Microsoft may be coming up with a tool to allow IT Pros to remove problematic updates, since that is a big concern for many especially when older LOB applications have compatibility issues. ConfigMgr sessions were catered around OSD, Intune, managing mobile devices and apps, deploying O365 clients, and Windows 10 deployments. Windows Server with Desktop Experience and Windows Server Core follows the Long Term Servicing Branch (LTSB) – New version every 2 to 3 years and supported with 5 years support and 5 years extended (5 + 5). Nano Server follows the Current Branch for Business model – a new version every 6 months. Windows Server 2016 utilizes Cummulative Updates like Windows 10. Only need the latest CU to bring the server to the latest patch version. Security Updates will be delivered on an as needed basis. 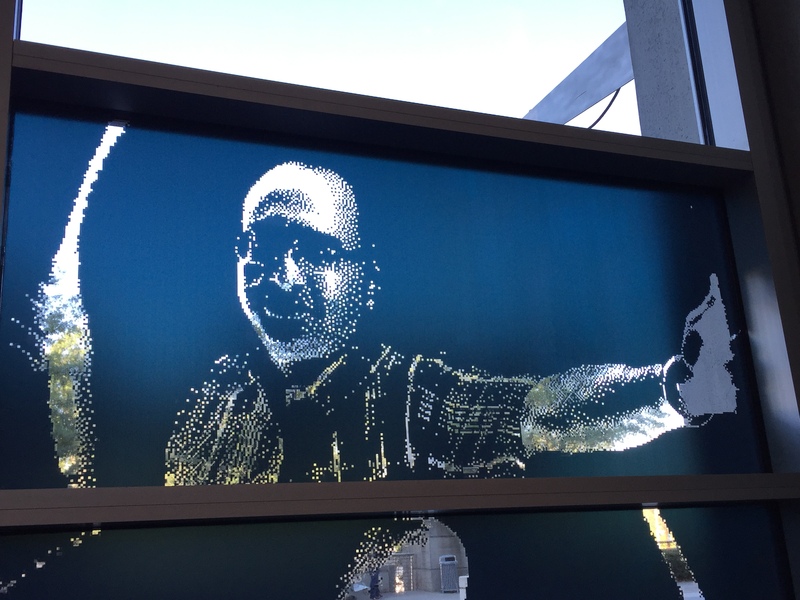 Microsoft Ignite 2016 in Atlanta, Georgia ended this week on September 30th which included some exciting new features such as live streaming of sessions, fun Hang Out area in Hall C2, Spark 360 portraits, window clings of some attendees throughout the convention center, and Beam robots for distant “attendees” to name a few. 23,000 attendees took advantage of over 1400 sessions, which included 20 to 75 minute sessions, an expo hall full of vendors for product and service information, Microsoft product experts, and great networking opportunities with fellow attendees, speakers, and vendors. Atlanta was a pleasant city with kind and helpful people, from those we encountered on the streets to everyone at the convention center. Thank you for the smiles, support, cheers, and upbeat attitude. Well done Atlanta and Microsoft Ignite. In case you missed the announcement during the Closing Celebrations on Thursday, Microsoft Ignite 2017 will be held in Orlando, Florida from September 25-29, 2017 and pre-registrations are now open. This will guarantee you a spot for the hot ticket to Orlando and first dibs on some selected area hotels. So, pre-register now if you plan to attend next year. Microsoft Ignite is excited to be offering five convenient check-in locations on Saturday, September 24 and Sunday, September 25! We highly encourage you to collect your badge prior to Monday at one of the locations listed below and avoid the lines on Monday morning. Please note that this is for check-in only, if you are eligible for additional materials, you may pick those up at the Swag Station at the Georgia World Congress Center in Building C, Hall C2. For your convenience, your closest recommended check-in location is: Westin Peachtree Plaza.Check-in is located in the Overlook on floor 6. 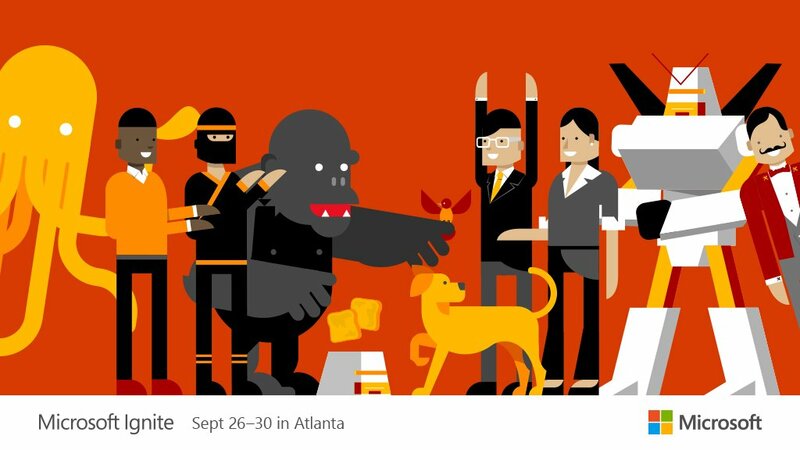 Microsoft Ignite Atlanta 2016 – What To Pack! So, you’re headed to the Microsoft Ignite Conference in Atlanta, Georgia from September 26-30 and with just a few days to go, now comes the dilemma of what to pack. Here are some suggestions from a conference veteran like me to help you with that the task of packing. While the conference is a week long, it is not necessary to go overboard with the packing and even bring the kitchen sink! #3: Clothes – The setting for the conference including the social events is casual. Pack comfortable clothes, don’t pack too much as you’ll receive loads of tshirts at the conference to last you for years to come. So, travel light. You’ll definitely want to pack the essential items such as socks, underwear, a hoodie or sweatshirt for the cold conference rooms, some shorts, a pair of jeans or casual pants, a couple of shirts, and whatever else you think is essential. Don’t forget your toiletries too. #11: Camera – There are always some wonderful opportunities for capturing some great photos of the conference and the city of Atlanta, so bring a camera with you. I would avoid bringing a large professional DSLR type camera with lenses and speedlights such as the Nikon D700 camera and the 24-70mm f/2.8 lens I often use for my freelance photojournalism work and event photography as it’ll be cumbersome to travel with and juggle during the conference. I tend to rely on my nifty iPhone for all of my photography and videography captures, and sometimes I bring along my Samsung NX300 camera for good measure. I’ll leave the selfie stick at your discretion. 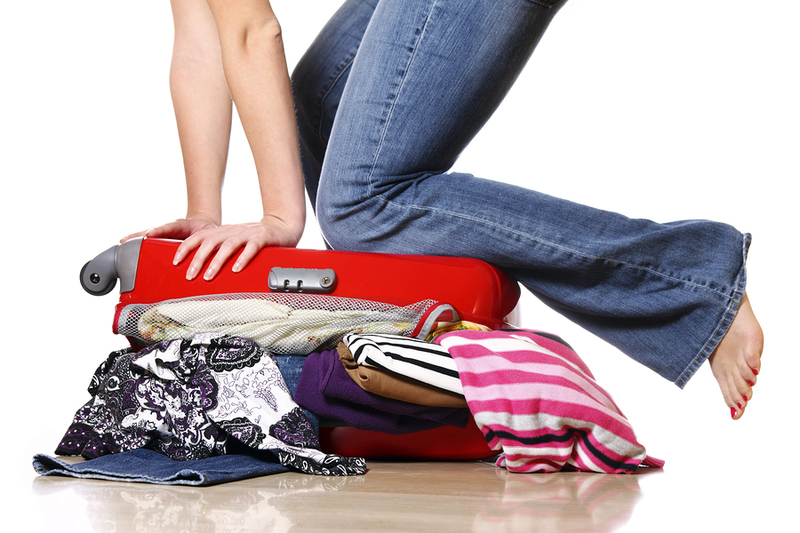 Hope this list will help you with your packing for the conference and has provided some helpful suggestions for things you may not have thought about. Good luck and see you soon in Atlanta! 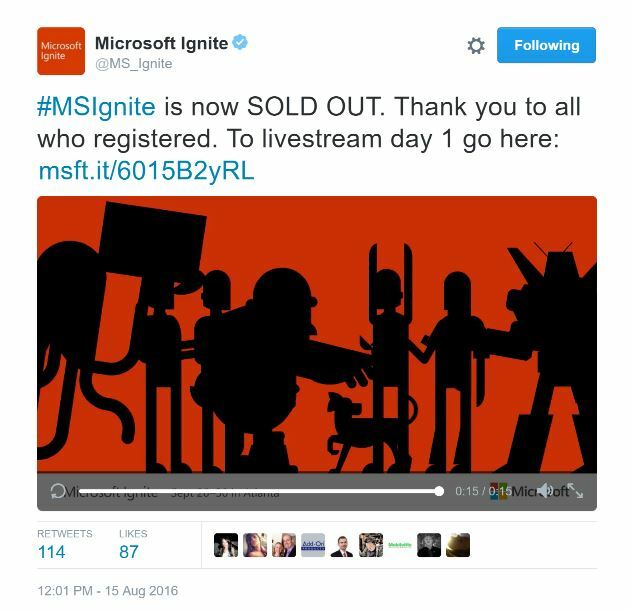 Microsoft Ignite 2016 is SOLD OUT! The above tweet was posted by the Microsoft Ignite team announcing the close of registration using their official @MS_Ignite Twitter account. Follow them as well as the hashtag #MSIgnite for further on-going information. If you received a late approval to attend Microsoft Ignite from your employer but you’re not able to register at this point, you still have the ability to win a free pass from a couple of vendors, Such as Adaptiva and HyperGrid. Check them out, follow their Twitter and Facebook feeds and Good Luck! See ya soon at Microsoft Ignite, September 26-30, 2016 at Georgia World Congress Center in Atlanta. Follow (@Hoorge and @TechKonnect) on Twitter and join Tech Konnect on Facebook to stay current on technology related matters. 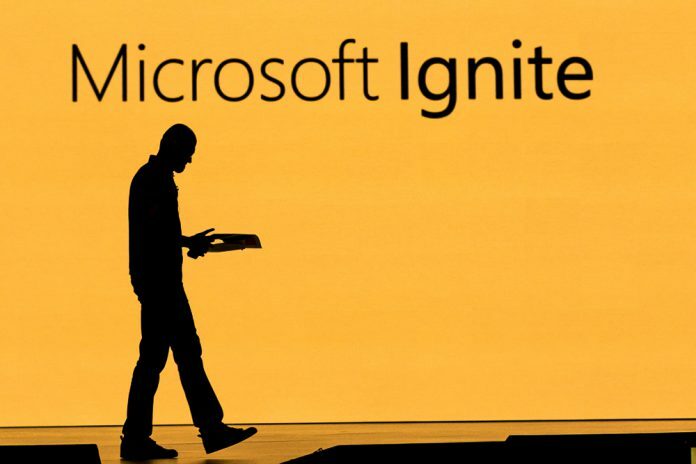 Microsoft Ignite returns to Chicago in 2016 from May 9-13. A great conference in a fantastic city.